Quality/Usability : When I'm traveling, I like to keep all my electronics in a central location or bag. This way I'm not going crazy looking for it and turning the hotel room upside down. It's not fun when you're trying to catch a cab or a flight. 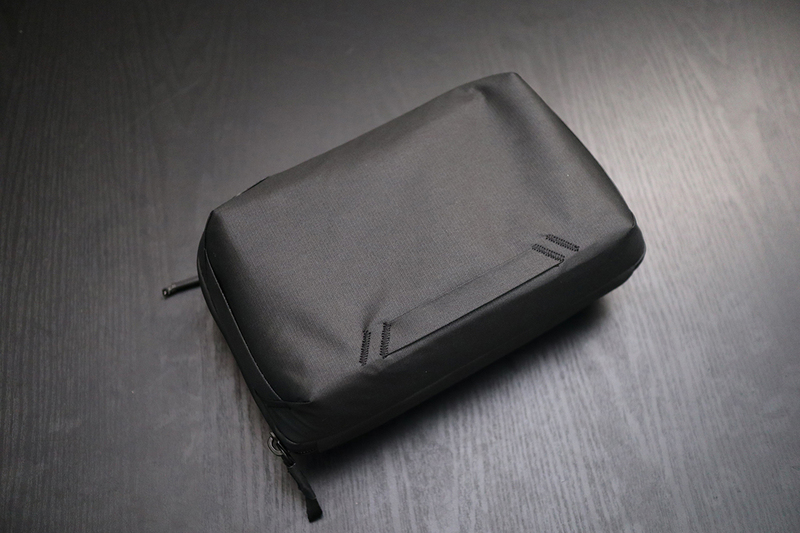 The Peak Design Tech Pouch is meant to keep all of your electronics organized and in a central location that is easy to access. 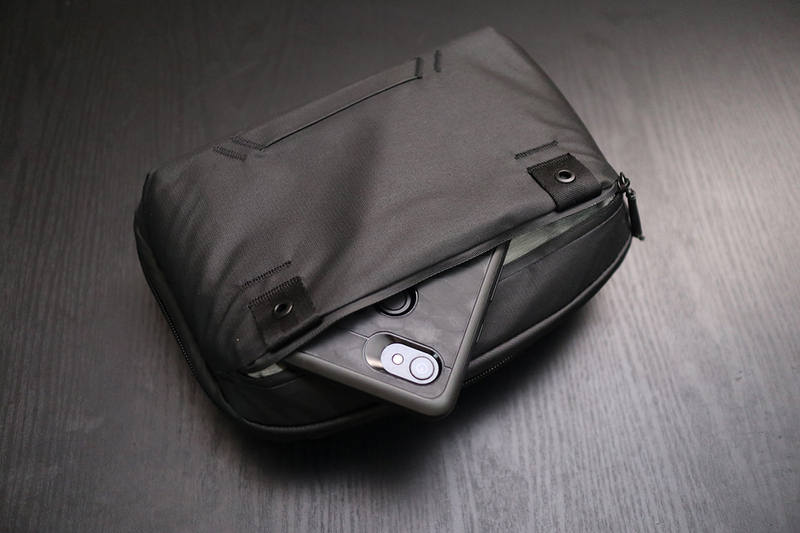 The Tech Pouch comes in two colors; black and sage. 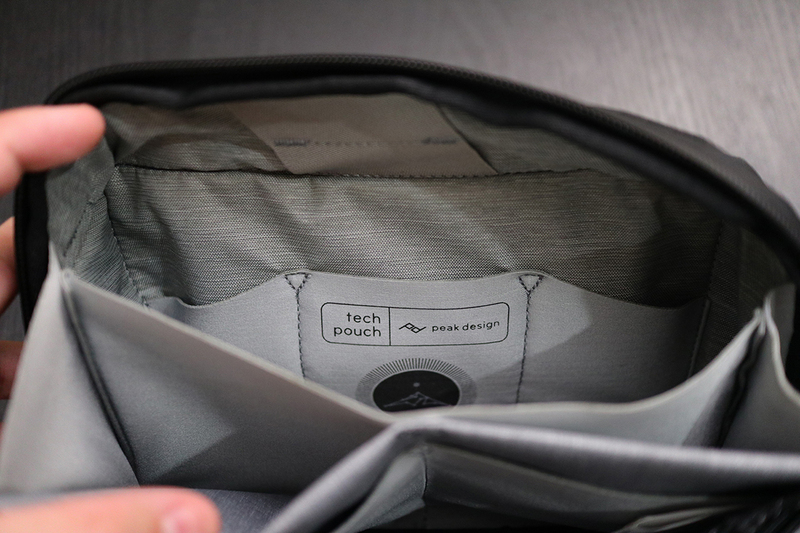 At first glance, some people will question if this is the Tech Pouch or Wash Pouch because they look almost identical. But there are some differences such as attachment points, handles and stitching. 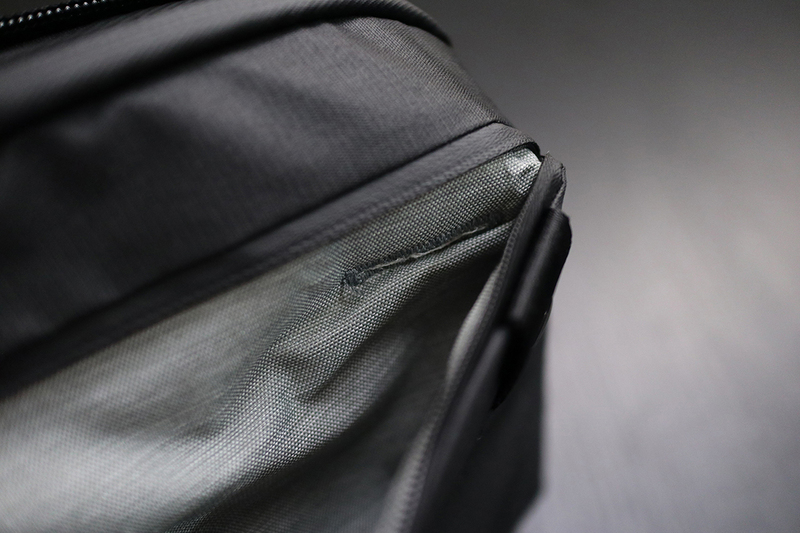 There is a zipper that splits the bag in the middle. There's no grab handle at the top like the wash pouch but I would have liked to see one for easy grabbing. 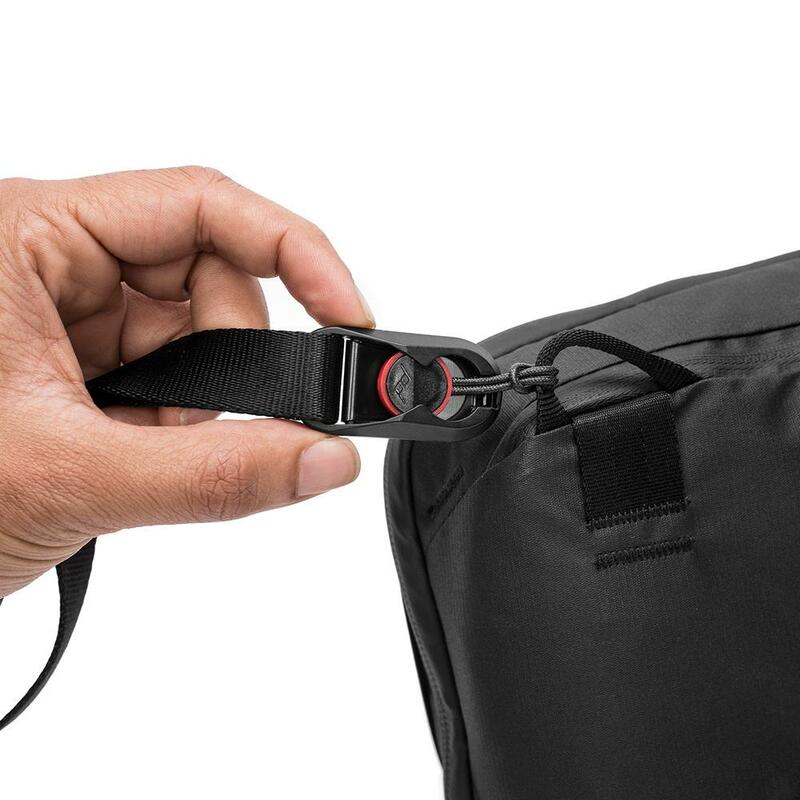 However, there are straps on both sides at the bottom of the bag. This allows you to slide your fingers through and open the pouch like a clam shell. There are also two attachment points at the top that lets you attach Peak Design Anchor Links. 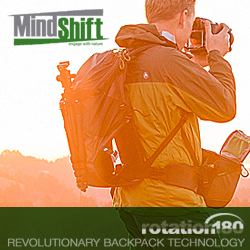 This is great if you want to carry the Tech Pouch like a sling bag. I've recently found out that Peak Design has made a slight design change instead of grommets, they are now using loops. 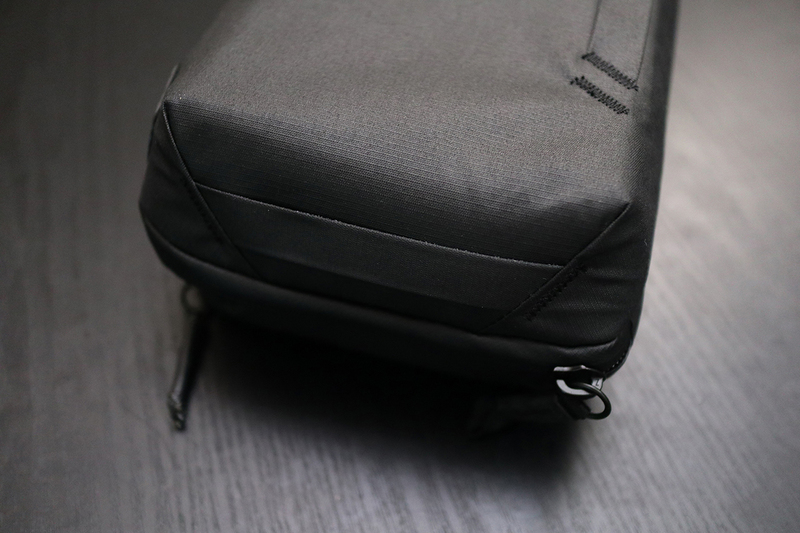 There are also small handles on the sides of the bag for quick and easy grabbing of the Tech Pouch. Just make sure that the bag is zippered before grabbing the pouch. 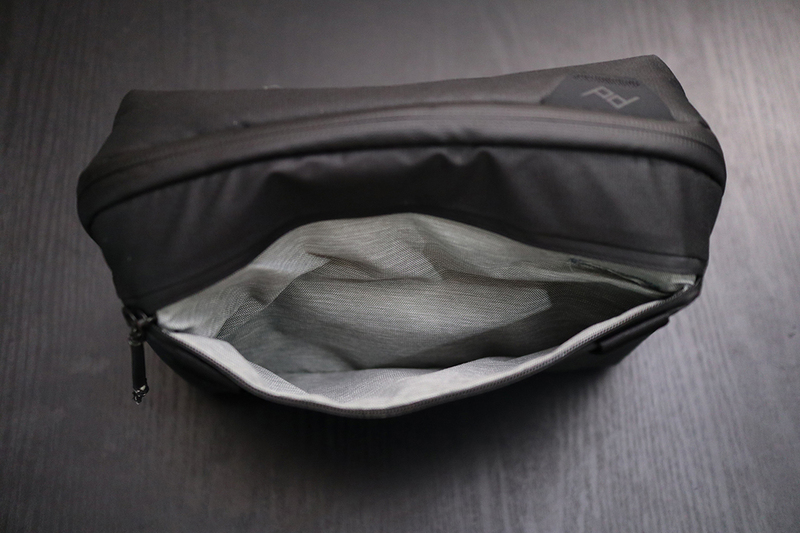 On one side or the back side of the pouch is a zippered pocket. 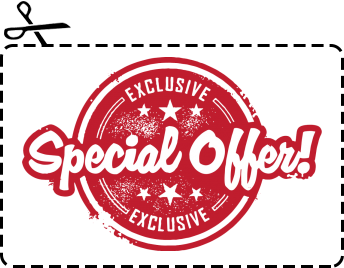 This allows you to hold small items such as batteries, memory cards, ID, money or even a cellphone. 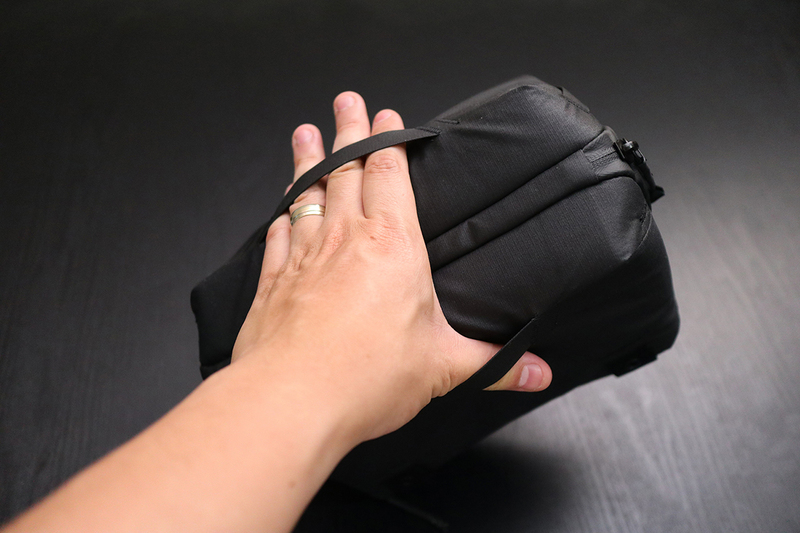 What's great about this pouch is that there is a little pass-through. This allows you to slide your charging cable from your phone through to pass-through and have your smartphone in the pouch and charging. Depending on your phone and how packed the interior is, it can get a little tight. 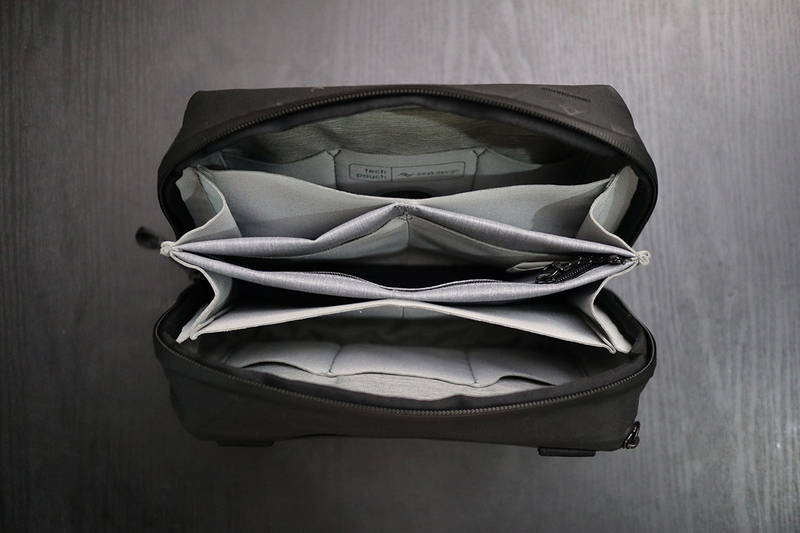 Once you unzip the zipper, you're presented with what looks like an origami compartment. Everything is symmetrical. What is also nice is that you can place the bag down on a flat surface and it will not tip over and nothing will fall out. 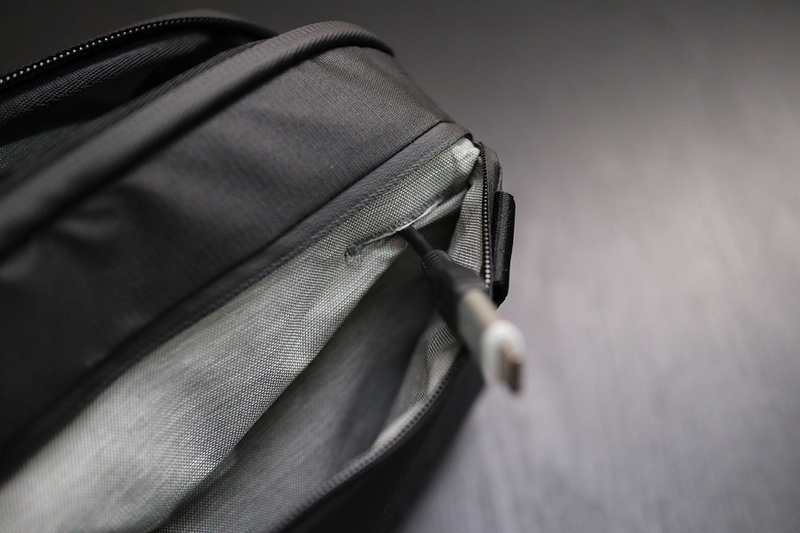 Towards the top of the bag on each side are small slots for you to slide your pens into. 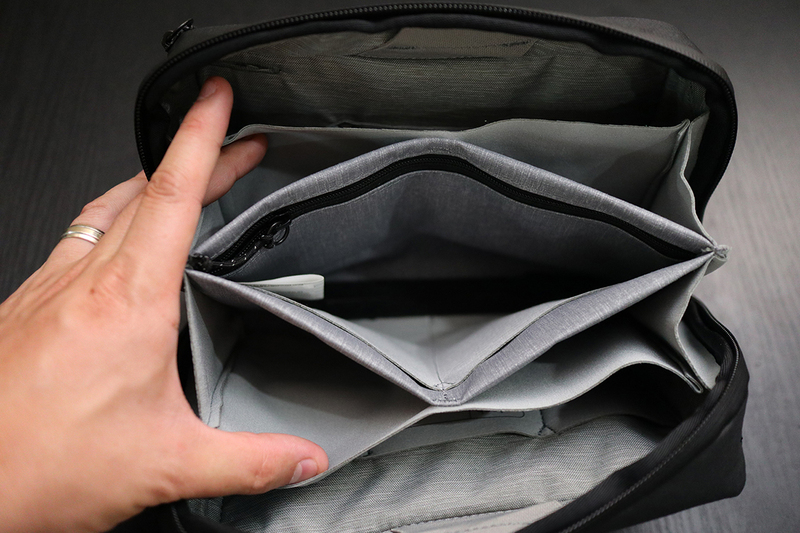 There are multiple pockets inside the bag that are elastic and stretchable. 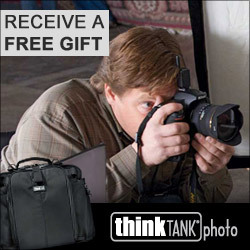 They are great for storing dongles, memory cards, cables, batteries, chargers and a slew of other items. 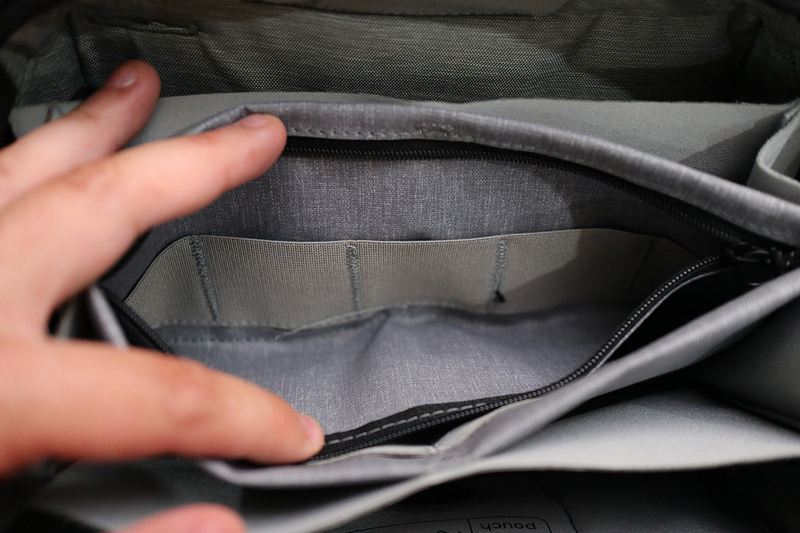 For more important items, there's a zippered pocket in the middle with pockets to hold memory cards. 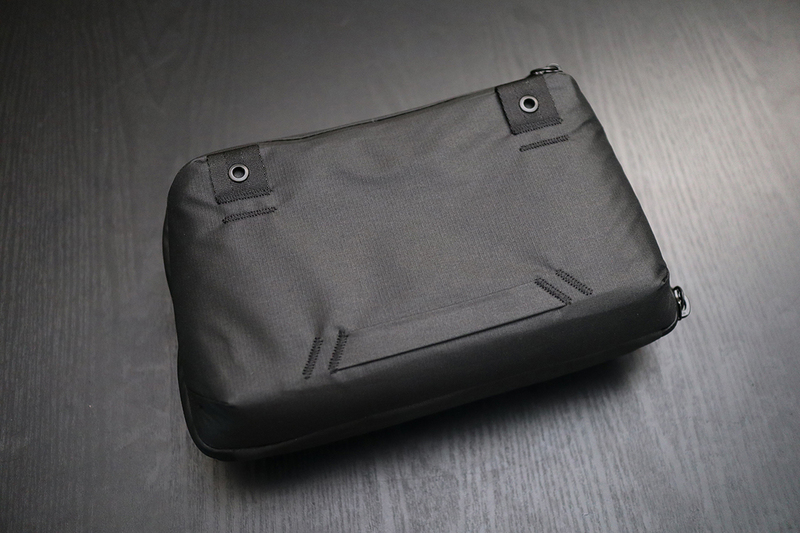 Take a look at our video and what we were able to place inside the Tech Pouch. 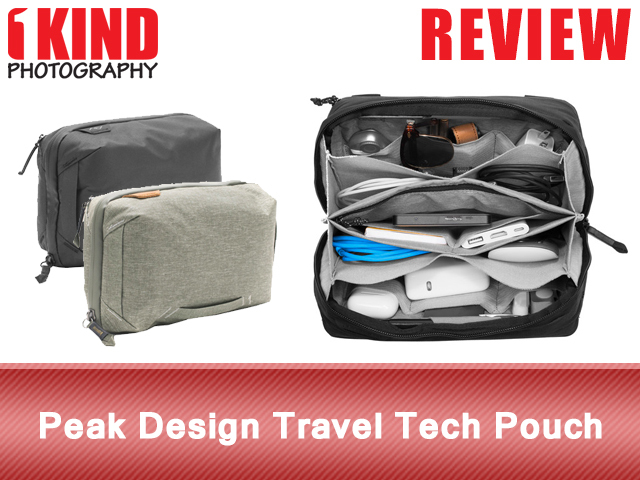 Conclusion : Overall, the Peak Design Travel Tech Pouch is a great pouch and can hold a lot of your electronics. 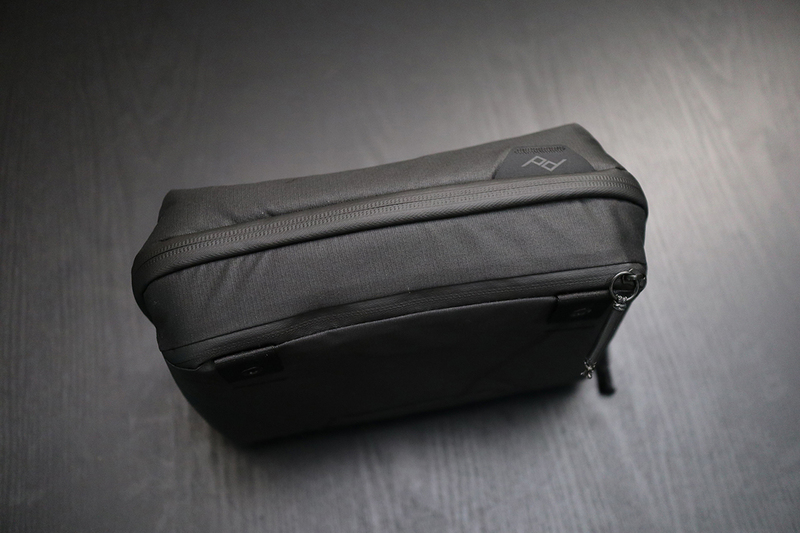 I've used it to carry my Logitech Master MX mouse, headphones, batteries, chargers, battery packs and cables. If you're thinking about using this with the Nintendo Switch, it can fit but will require you to remove one of the Joy-Cons which will need to be stored in one of the pockets. The Tech Pouch is just a tad bit short to hold the Nintendo Switch with both Joy-Cons attached. I suggest getting the Wash Pouch as it is just the perfect length to hold the Switch with both Joy-Cons attached along with a Pro Controller.